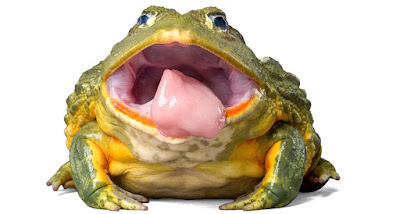 Frogs’ remarkable power to tongue-grab prey — some as big as mice or as oddly shaped as tarantulas — stems from a combo of peculiar saliva and a supersquishy tongue. The first detailed analysis of the stickiness of frog saliva shows that the fluid can shift rather abruptly from gooey to runny, says mechanical engineer Alexis Noel of Georgia Tech in Atlanta. Those quick changes come in handy during the various phases of a single tongue strike. And it all works because the tongue itself is so soft, Noel and colleagues report February 1 in Journal of the Royal Society Interface. Internet videos of frogs feasting sparked Noel’s curiosity about their ability “to eat furry things, hairy things, slimy things,” she says, and to do so with speed and power. A frog tongue strikes five times more quickly than a human can blink.